One of the most important elements of a commercial dishwashing is getting the detergent correct. It’s not just about getting the dishes and glasses clean, but keeping the commercial dishwasher working at its optimum performance. 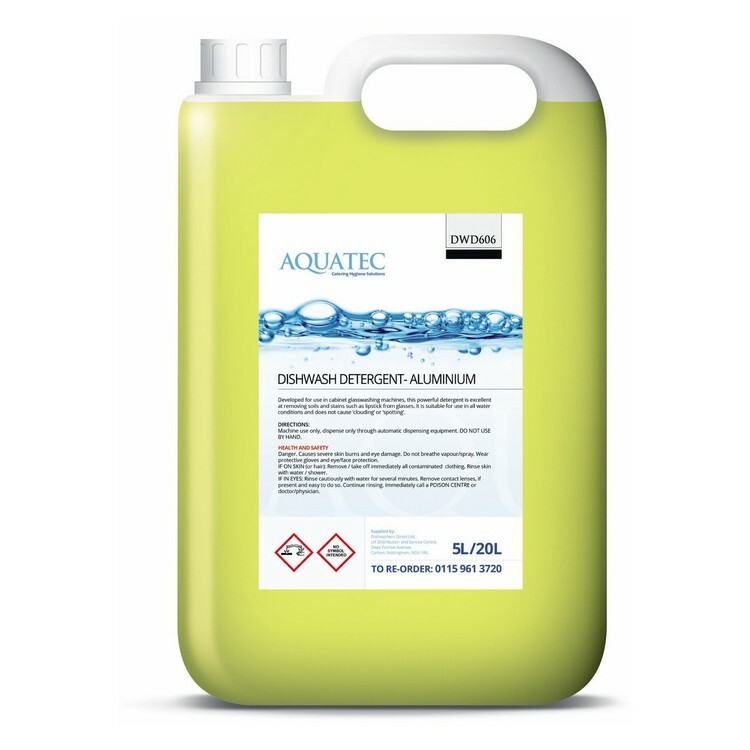 Dishwashers Direct stocks a range of detergents suitable to undertake any commercial dishwashing regardless of how tough the task may seem. Our Aluminium cleaner and descaler is Industrial strength and thus an effective cleaner for fast removal of brake dust, oxidation and chemical corrosion on aluminium and alloy wheels. Equally effective on steel wheels and plastic wheel trims. As you would expect from a specialist in ware washing with 20 years of experience and worldwide sourcing we have the answers for your site. So, why not test us out and arrange a site visit from one of our experts. Our standard delivery to most locations in the UK takes 1-3 days and the price for this is included in the price of the goods unless otherwise stated. All deliveries are single man deliveries and are delivered to the door of the business.